We provide up to date, professional Diagnostic, Maintenance and Repair services for all makes and models of automobiles and trucks in our well-equipped 4 bay shop. Our full Motor Vehicle Safety Inspection Station is staffed by full-time Class A Technicians and Class Truck & Coach Technicians allowing us to provide safety certificates on both commercial and non-commercial vehicles. Our 18,000 Lb Extra-Long Lift allows us to inspect & repair medium duty trucks and oversized vehicles. We have extensive experience repairing electric trailer braking systems, lighting, frame and body components. 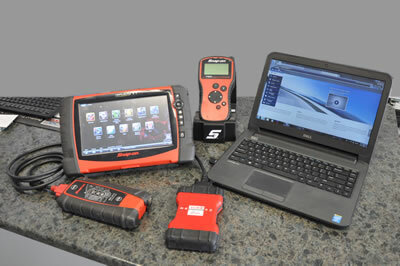 While we specialize in servicing all Ford cars and trucks, we have the latest software and equipment to diagnosis and troubleshooting the electronic systems of all major manufacturers - Domestic or Import. 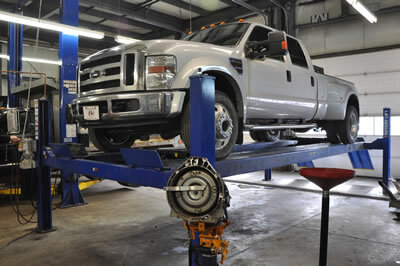 We have many years of successfully servicing and repairing power stroke 7.3L, 6.0L, 6.4L and 6.7L diesels. Our customers count on us to repair their diesels. We take great pride in finding solutions for our customer when Dealers and others repair shops have failed. We maintain a select inventory of many Ford power stroke diesel parts in stock such as FICM modules fuel injectors and EGR & Oil coolers. We have full access to genuine Ford parts for all vehicles. Contact Us to book an appointment or learn more about our Automotive Solutions.